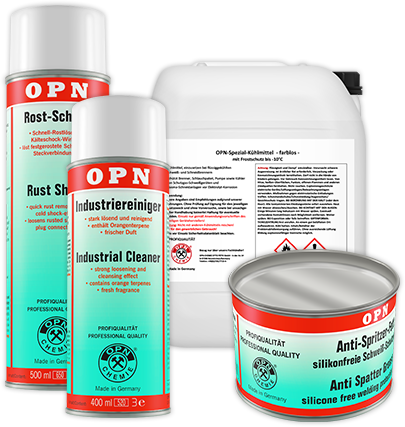 OPN-RUST SHOCK®, the "chemical wrench" with dual action. With the cold shock, as well as the rapid penetration of the high-performance oils, problems with rusted screw and plug connections are quickly solved. YOUR PRIVATE LABEL ON YOUR CAN! 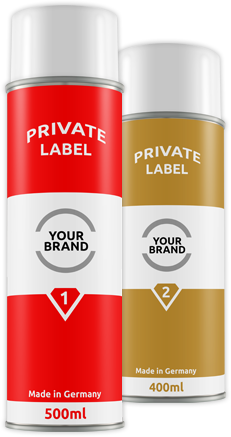 With a private label, also called trade mark, you give your products a personal image and stand out from other companies on the market. This will secure your market position. Currently we offer 135 items in our product range. 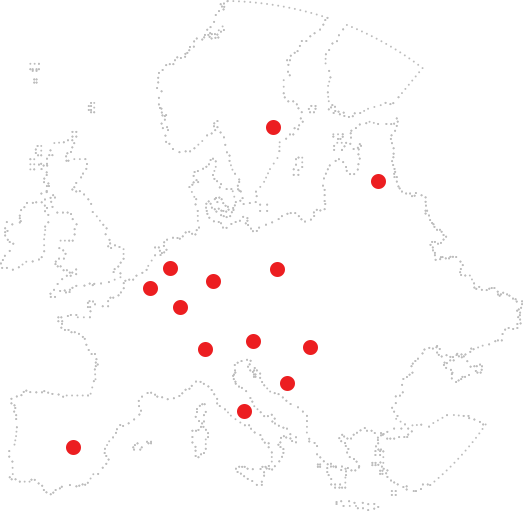 Overall we have more than 300 recipes and because of that we are able to meet also special requests with high-quality products "Made in Germany". We offer you the highest product quality, which sets itself apart from the usual standard qualities on the market, at fair market prices! We advise and support you in case of individual questions about our products or the use of chemical products in industry and trade. Currently we offer 135 items in our product range. Overall we have more than 300 recipes, also for special requests. By selling your own brand (private label), you or your customers can give a personal image to the products and become independent of brand manufacturers. We can also fill special products according to your specifications and recipes or carry out a contract filling of provided active ingredients. Our aim is that you receive the ordered goods as soon as possible. We can deliver goods in stock within 48 hours. Here you will find the products which we produce for stock and therefore usually are available immediately. We will gladly send you offers on request. Security Question: How much is 4+9?